A little while ago we had a pretty cool customer engine on the dyno here. 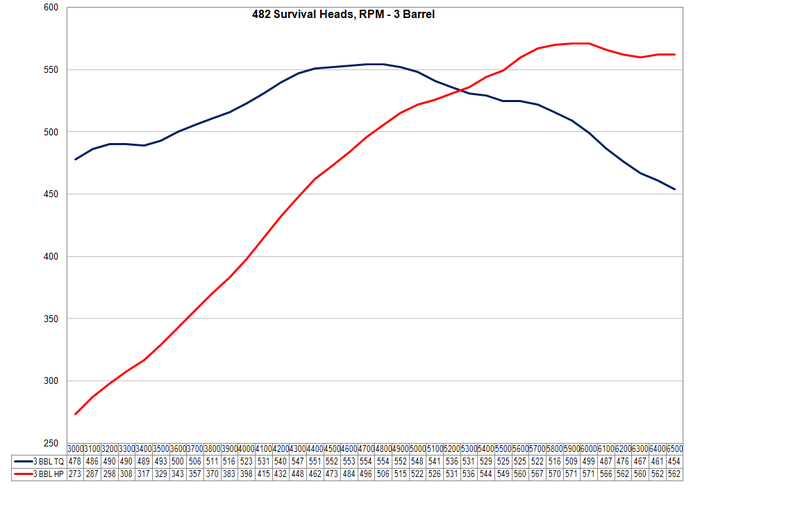 It was a pump gas 482, running an original 427 block and the normal 4.25 stroker kit. 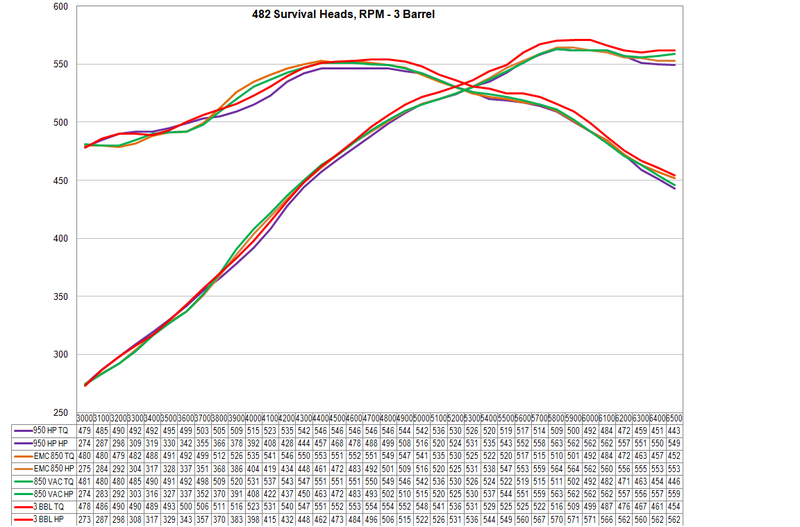 Heads were our Survival parts, with 2.200 intakes and 1.710 exhausts. Intake is a port matched Performer RPM dual plane. Cam is a bit unusual since its a rather frisky solid flat tappet - 259/262@.050 and .644/.638 on 108 LSA. Customer wanted to try for 600HP with a 4150 flange dual plane & flat tappet. We did not get there - but we sure had some fun trying. After doing the normal cam break in, lash checks and inspection we started out on some power pulls. We established that this was going to peak around 6000ish, but it carried smoothly beyond 6500 - I really like the characteristics of a solid flat tappet for that aspect. We played timing a bit and found it to be pretty normal - 36-38 degrees worked OK, and it did not change a huge amount either way. But normal sometimes just don't cut it around here...hence the carbapalooza! 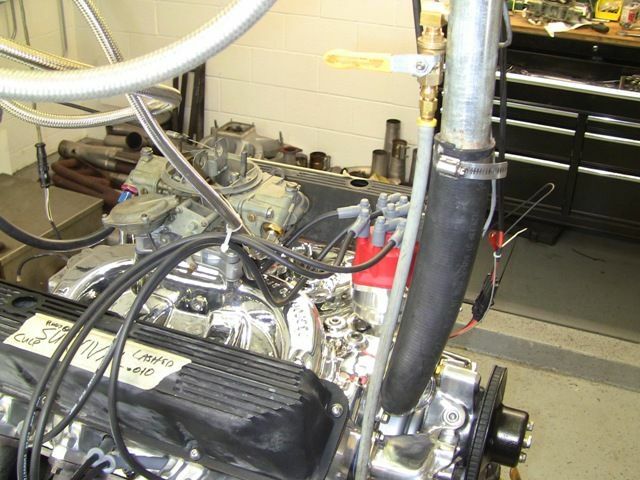 The customer brought in two carbs to try - a fairly current looking Holley 950HP, and an ancient Holley 950 THREE BARRELL! The 3bbl was from +/-1969 and needed some attention before it could be run - it had the wrong gaskets in the rear - the boosters on a 3 barrel are moved inboard by a small amount, and normal 4160 gaskets will not work without modification. In addition, we were not able to re-jet the rear since the metering plate was already larger - and different - than anything I owned. And I sure as heck was not gonna try to re-spring the secondary & risk tearing that unobtainium diaphragm. Just to make it more entertaining I also tossed my 850 vacuum secondary Corvette carb, and an EMC legal 850ish custom double pumper into the pile. We went at it pretty good with the 950HP first, sorted the jetting, and figured we had it sorted out with a power peak of 562 at 6100 RPM, and nice flat peak torque of 546 from 4400 to 4800. 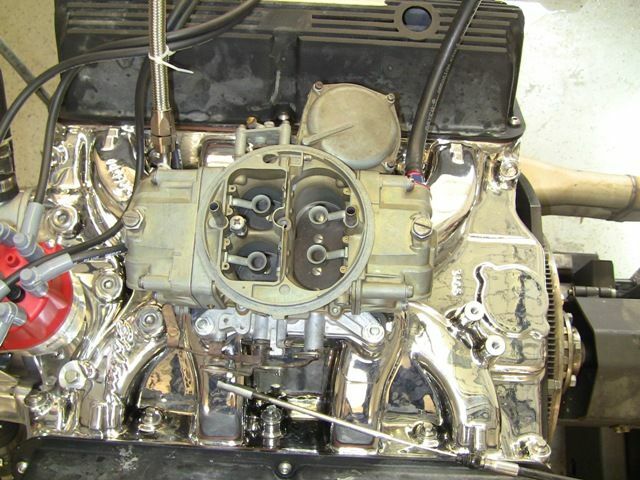 Then we installed the pride of 1969 - the legendary Holley three barrel. I have seen a few of them, actually own a disassembled one, but have never seen one on a dyno before. Damn thing worked great after we sorted out a few things, making 571 horsepower at 5900 and 554 torque at 4800. I followed up running the EMC 850, and then with my 850 vacuum secondary (hell - we were getting into running 40 year old carbs). When the dust settled, the 3 barrel was the clear winner - who'd have ever dreamed this outcome.